The Targi Kielce Industrial Spring is the presentation platform for cutting-edge products and solutions at highly-specialized expo events - STOM-TOOL, STOM-BLECH & CUTTING, STOM-LASER, WELDING, WIRTOPROCESY, EXPO SURFACE, PNEUMATICON, Electronics and Automation Expo TEiA, CONTROL-STOM, 3D Printing Days. Another specialist exhibition - STOM-ROBOTICS is included in the 2018's cycle. The excellent standing of the events is clearly demonstrated with last year's statistics. 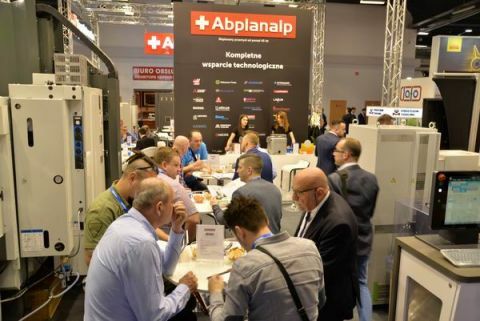 This up-trend is certainly fuelled with the excellent situation in the metals processing industry as well as the importance and significance of Kielce's exhibitions. The trade shows have already become the business-sector's household name. The jubilee 10th edition of 3D Printing Days is held this year under the auspices of HP. The event brings together business-insiders who represent 3D scanning industry and rapid prototyping; this is is the showcase for the business-sector's most important market-player. All major Polish printer manufacturers and foreign equipment distributors are also present at the event. As Janusz Wójcik of the SIT Polska emphasizes, the organiser of 3D Printing Days - there has been a great development, where a hobby meeting advanced to become a fully professional trade show. However, it still abounds with rapid prototyping curiosities. One of the latest projects which is the fruit of cooperation with additive technologies milieus is the "Making history" project. It encompasses a whole array of activities of Poland's 3D printing communities. The originators of the project are Mateusz Stefańczuk and Mateusz Gołaszewski who have been a part of the 3D printing industry since 2013. The project organisers intend to reconstruct a series history related artefacts - the first of them is the model of the six-meter Panzerkampfwagen VPanther "Magda" tank which was taken over by insurgents during the Warsaw Uprising in 1944. According to assumptions, the model will be made in 1: 1 scale as as to reflect the actual dimensions, original colours and all the details of the historical armoured vehicle. The 3D Printing Days is the display for vehicle's printed part. For the first time the "Industrial Spring" expo cluster includes the STOM-ROBOTICS Expo. The exhibitors themselves inspired and requested the Industrial Spring organisers to ​​create a new exhibition crafted around robotics. Yaskawa has been appointed the event's official partner of the expo. The STOM-ROBOTICS début is solely focused on industrial robots. YASKAWA - MOTOMAN cutting-edge robots will also be on display at the trade fair. Manufacturers that offer supreme-quality machines and equipment for broadly-defined sheet-metal and pipe cutting, processing and machining business sector are brought together for the STOM-BLECH&CUTTING Expo. Those interested in the laser technologies are invited to visit the STOM - LASER Expo - the showcase and knowledge-well for laser optics systems, rapid prototyping, laser scanning and recognition devices and software. STOM-TOOL is the event dedicated to tools – it has also gained the across business sector recognition. The WELDING, EXPO-SURFACE and CONTROL-STOM expos are also very popular.